Birds nesting on tall structures may be a source of many troubles. Not only is the constant cooing of pigeons disruptive, but their nests and droppings can be a significant factor contributing to the deterioration of buildings. The most humane, permanent and effective solution is installing bird spikes. You can choose to place them on common bird landing surfaces. But sometimes it can cause you some trouble, as they nest in high places. Reaching the popular landing places or nests in order to get rid of them may be problematic without the right approach and equipment. R.A.I.L. has great experience in preventing birds from nesting on buildings. Our preferred method mentioned earlier is installing bird spikes. They are the best prevention method that is very simple. They are just spikes mounted on rooftops and balconies that prevent the birds from ever landing on the building’s surface. It’s a safe, harmless way of keeping the birds away that our rope technicians have great experience installing. With few tools and great freedom of movement, our rope access technicians can install bird spikes in no time, and without any risk of hurting themselves or anyone around. Contact our well-educated and certified team to get rid of all your problems! Every year, hundreds of man-hours are spent cleaning, repainting, and repairing buildings due to the damage caused by birds. It’s excessively expensive and difficult to deal with birds in a high-rise building because there is a lot of ground to cover and issues to face. That’s where RAIL comes in. 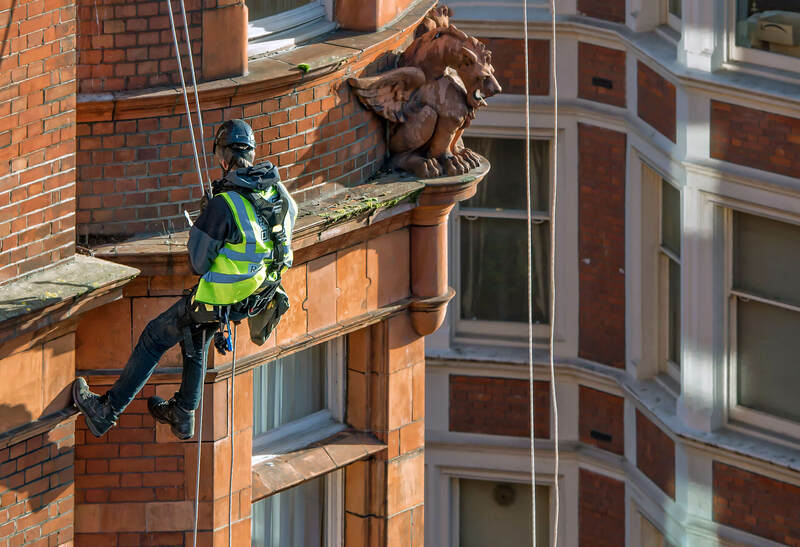 One of the few companies that provide abseiling bird netting in London, we do a fast and professional job of protecting small and tall buildings by installing high-quality nets. 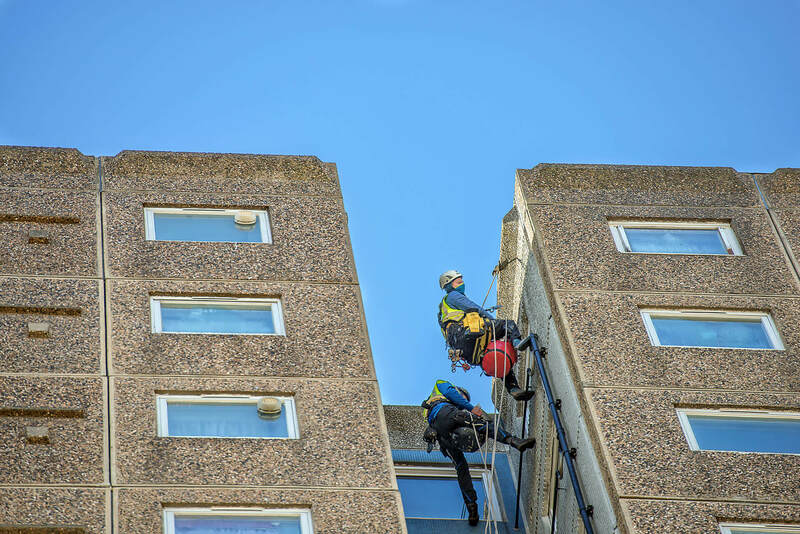 Our abseiling team is comprised of specialists that have worked on buildings of every size all around London and its neighbourhood. No project is too large for our team and no place too difficult to reach. We guarantee that your work with us will be fast and efficient, and you’ll get immaculately installed bird netting that will protect your building and keep it clean.